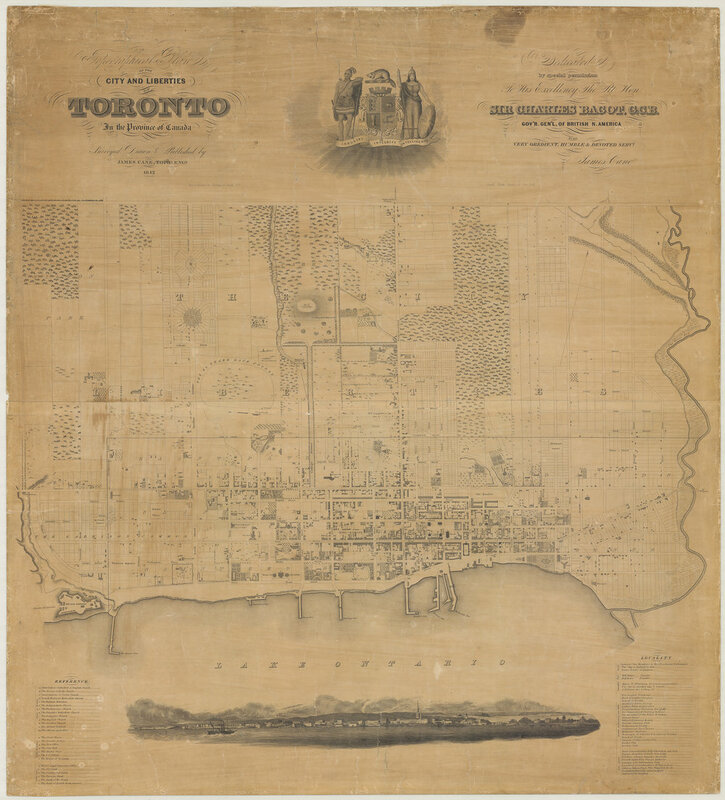 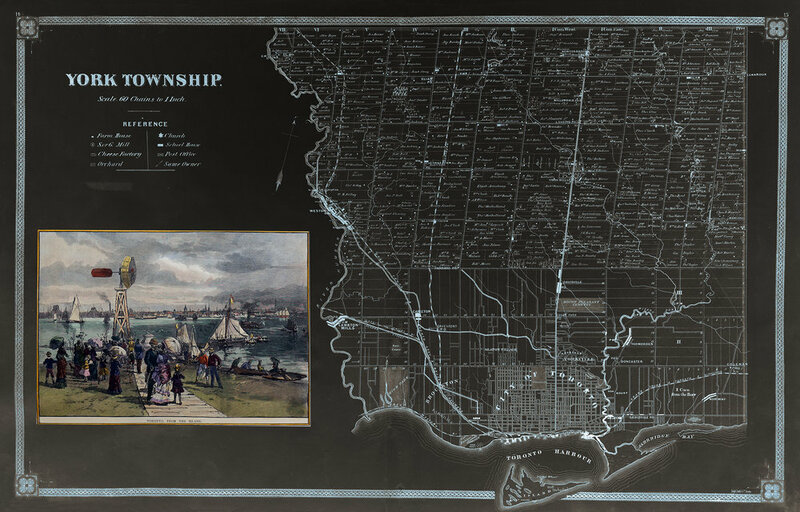 Here you can see 1800s Toronto and Area maps I have re imagined in new colour schemes. 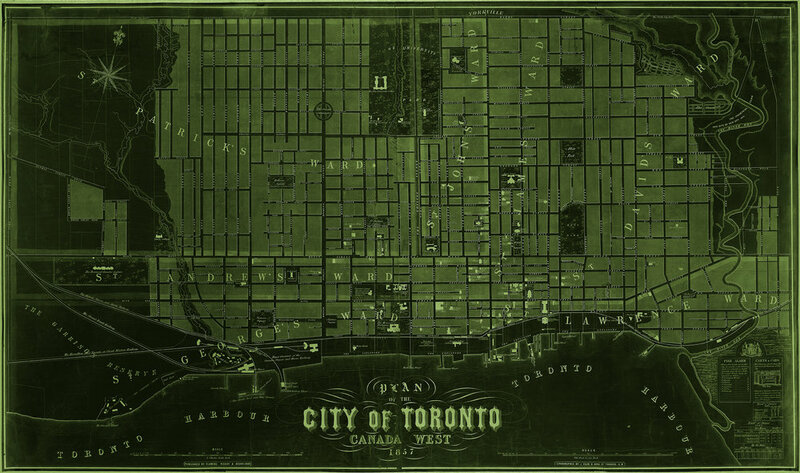 You can order these prints in almost any tint/colour you want - first two images show a famous City of Toronto map shown in original beige/blue version I have transformed into a green reverse. 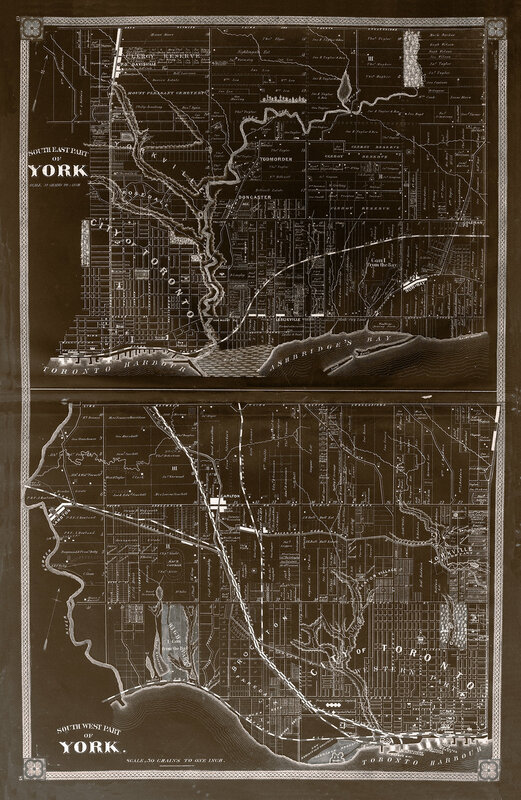 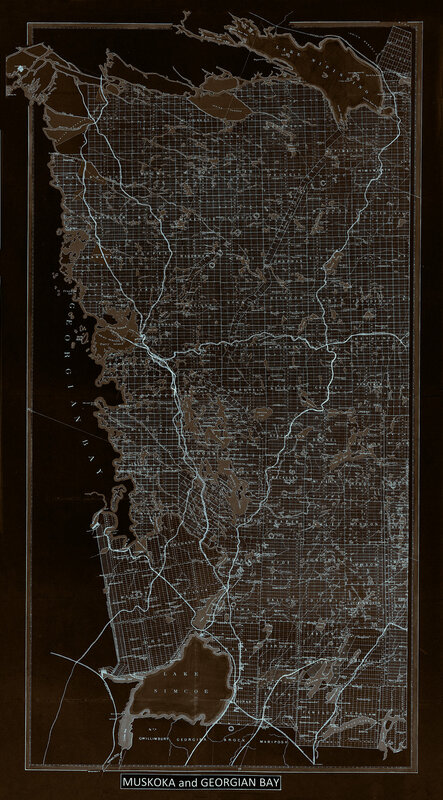 These Maps have incredible detail in larger sizes and some include names of original land owners, etc. 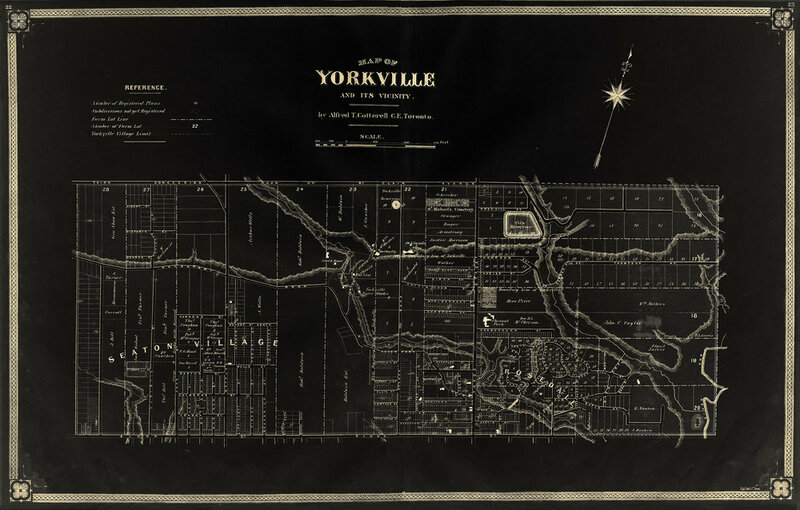 Second from the last is a very rare Cyclist Map of the if your into Bikes - these really make Great Personal and Business Gifts. 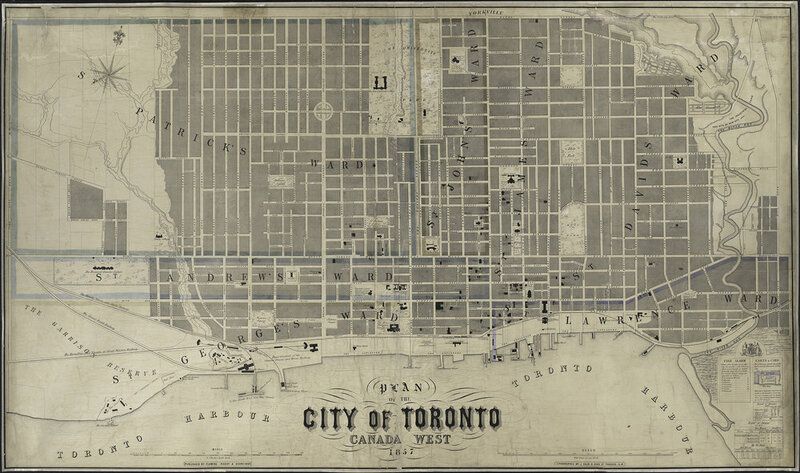 You can order these images as prints in almost any size and on any material you can imagine but the fine art paper printed ones look just like the originals - even close up.